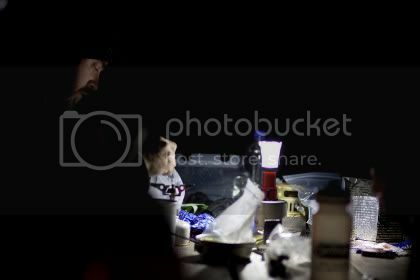 The Black Diamond Orbit is a fantastic little lantern that’s just about perfect for hitting the backcountry. The Orbit weighs in at a mere 3 oz empty and 4.5 oz with two AA batteries. This is light enough for even the most gram-conscious hikers to take on the trail. While I haven’t had the opportunity to do a full test, the lantern is rated at 10 hours on high power and an incredible 24 hours on low. When you’re ready to light up your world pull the top and bottom apart to extend the Orbit to its operating size. Pressing the power button turns the lantern on in high power. To reduce power simply press and hold. 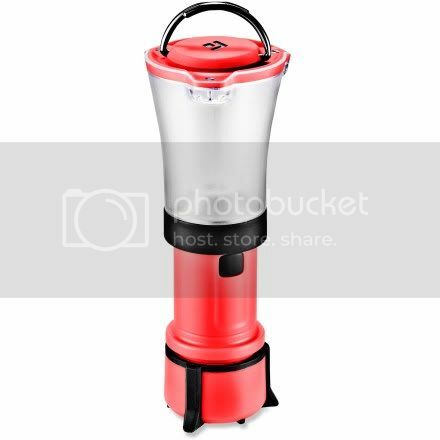 Since the lantern is based on LED technology you can gradually reduce the power level. Two hooks on the top of the lantern allow you to hang it from most anything. The split hanger came in very handy for using it inside my hammock since I was able to hang it from the ridgeline. Had it been a single, solid piece I wouldn’t have been able to do that. I field tested the Orbit on a recent hike to Georgia’s Cumberland Island National Seashore. I tucked it safely away in my Snow Peak titanium cup inside the pack. It did very well around the camp site and made cooking a bit easier. Cooking by headlamp can be a hassle and the Orbit eliminated this. It gave a good spread of light so that my hiking buddies could take advantage of it as well. Away from camp this tiny little lantern did a great job of lighting up the trail with enough coverage for two people to walk safely. I wouldn’t go for an extended walk but for short excursions away from camp the Orbit sure beats wearing a headlamp. I highly recommend the Orbit and it’s definitely found a home in my pack.